The core of our surfboards, and therefore their main component, is Balsa wood (Ocroma Pyramidale). Balsa is the lightest wood of all and was already used as a transport float in South America 1000 years before the Inca Empire. This plant is one of the fastest growing species, reaching a height of up to 10 metres and a diameter of 20-25 cm within 3-4 years. The Balsa wood we use comes from a family farm situated in the coastal region of Ecuador. 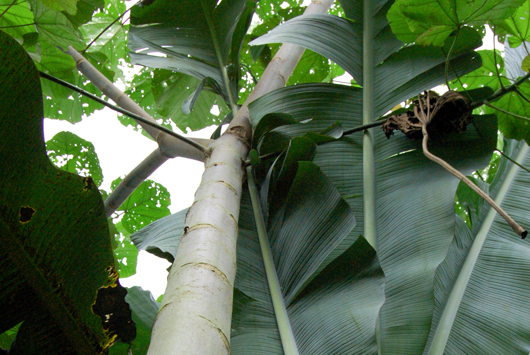 The Balsa trees are planted in a sustainable mixed cultivation program together with bananas, yucca and beans. The production of «foam blanks» has an extremely negative effect on the environment by using fossil fuels and toxic ingredients in the production process. Moreover, the final product can hardly be recycled and therefore contributes to pollution in soil and drinking water. By contrast, Balsa wood is a fast growing, sustainable and recyclable raw material, producing no toxic substances. Therefore, it can be safely said that the use of Balsa wood is a sustainable way of producing surfboard blanks.